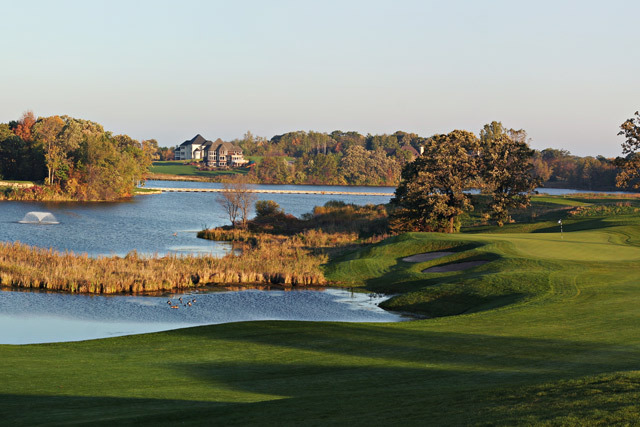 With memorable par-3s that present knee-knocking tee shots across water, the course continues to be the most talked about in the Twin Cities. Legends Golf Club was carved from an expansive natural setting featuring a 30-acres lake, cascading creeks, scenic wetlands, deep ponds and dramatic topography. More than a stunning 18-hole daily-fee golf course, Legends Club provides a haven for native plants and wildlife..